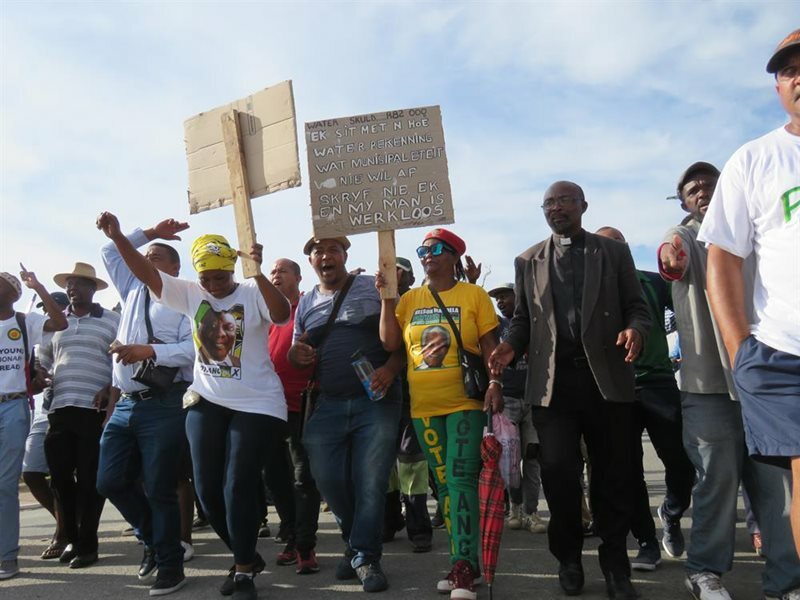 GEORGE NEWS - The George Community Forum (GCF) has confirmed it will continue to organise the march planned for 26 April against the Phase 4 roll-out of GO GEORGE buses at the end of the month - even though the roll-out will not include Thembalethu. The GCF is accusing the municipality of double-crossing them and are threatening that the march won't be peaceful. The George Municipality, in partnership with the Western Cape Government, announced that the next set of routes of the bus service will be activated on Sunday 28 April. However, only Phase 4B, which includes routes to Conville, Parkdene, Ballotsview, Borcherds and Lawaaikamp, will be implemented. Phase 4A, which covers Thembalethu, will remain dormant. In a press release, George Municipality stated that concerted efforts have been made to roll out in Thembalethu first, but meetings with the relevant stakeholders in Thembalethu regarding the roll-out of Phase 4A did not reap positive results. The outcome of the failed negotiations is that the cut-off date for the Thembalethu roll-out, April 2019, as determined by the National Department of Transport, will not be met. Council earlier resolved that Phase 4 will be rolled out by June 2019, and if it is not possible to roll out the bus service in Thembalethu, Phase 4B must be rolled out. When making the announcement, George Mayor Melvin Naik called upon all stakeholders to make a concerted effort to have a peaceful roll-out. "We must pull all our resources and make a success," he said. "We want to get to all the other areas within the George municipal boundaries, but Council's decision is to roll out to Phase 4B now. In the meantime, efforts to get Phase 4A ready will continue." Responding to these developments, the leadership of the GCF said they are not backing down. GCF Chairperson Xolani Booi warned that the march on 26 April won't be peaceful and that it will take place even if it is not allowed. Booi said they have no problem with the GO GEORGE buses, however, they want the municipality to first address outstanding issues such as infrastructure. "There's going to be chaos along Nelson Mandela Boulevard as taxi's and buses will compete for stopping places. The taxis don't have designated stopping places, only the buses do. This is going to create problems," he said. He added that all they want is for the municipality to first fix the road and make it wider to ease traffic congestion. He also alleges people have not been consulted about this roll-out and the municipality is sidelining the people. "There are many issues that people are already complaining about with regard to the buses. They say the buses are always late and some lose their jobs because of this. We want these matters to first be addressed by the municipality," said Booi. Meanwhile, the ANC spokesperson on public transport in the Western Cape Legislature, on Wednesday 3 April called on the national minister of transport to intervene in the public transport crisis in Hout Bay, which has seen five people killed so far. "We convey our deepest sympathies to the families. We now need the direct intervention of the national minister and Department of Transport. A lasting solution depends on cooperation and coordination between all spheres of government - the national and provincial departments of transport as well as the City of Cape Town. In addition, there must a joint approach to law enforcement from the SAPS and Cape Town Traffic," it reads. "However, we are deeply concerned that a failure to address the underlying issues which are contributing to the conflict will result in further violence and fatalities. We are aware that in the process of establishing the Bus Rapid Transport System (BRT) in Cape Town, a national process driven and funded by the National Department of Transport, agreements were reached that taxi permits for certain routes would be surrendered in return for cash payments and inclusion as shareholders in various operating companies set up to operate BRT in Cape Town, commonly known as MyCiti. In the case of the Hout Bay to Cape Town route, all permits were surrendered, resulting in this route being run exclusively by a vehicle operating company under MyCiti. Taxi operators in Hout Bay who were not part of this process, have expressed concerns that operators from other areas have begun to operate this route illegally," said Dugmore. He added that the ANC supports the strict enforcement of the law in regard to those operators who are illegally operating on this route. Expressing a view similar to that of the GCF, Dugmore said, "At the same time, our view is also that commuters in Hout Bay should have a choice of both MyCiti as well as minibus taxis to travel to Cape Town". Dugmore also referred to the current tension between the taxi industry and the George Municipality about the implementation of the buses. "We support BRT and also believe that it should be rolled out in such a way that it does not destroy the minibus taxi industry. We have been concerned that, for example in George, an opportunity to allow minibus taxis to operate feeder routes bringing commuters to the GO GEORGE buses, has never been implemented by the province and George Municipality. We need national government to undertake a review of BRT in Cape Town and George and consider the impact on the minibus taxi industry and whether it has contributed to safe, reliable and affordable public transport for commuters. As we roll out the BRT system, we need to learn the lessons from those areas where it has already been implemented," he said.